Tall buildings denote sign of prosperity. Look at New York, London, Dubai and now the growing number of skyscrapers in Shanghai; they talk about the cities’ and countries’ time of economic well-being. And there seems to be a race between some nations such as UAE and China to erect the tallest structures. Moving away from the height game, South Korea decided to take a different approach to creating a landmark structure. 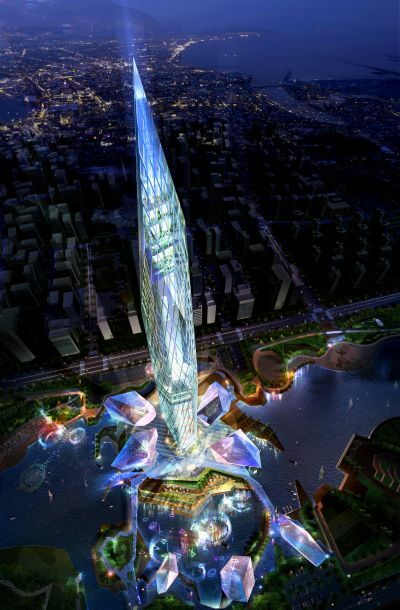 The country will be building a 450-meter tall Tower Infinity, a building that can go ‘invisible’. 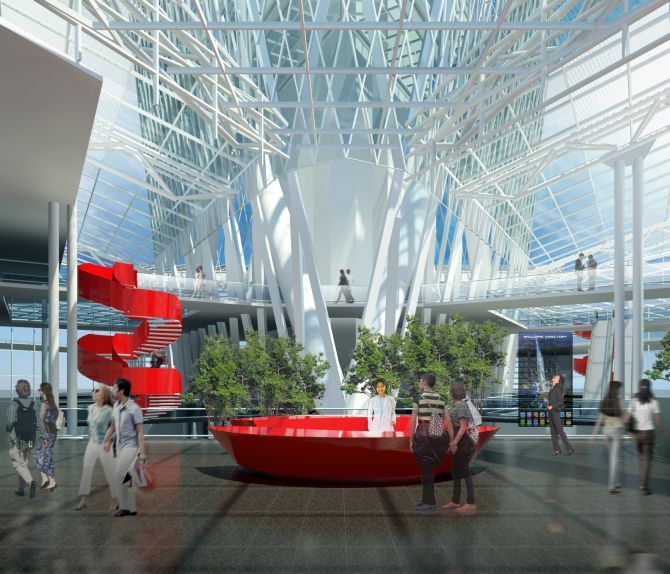 The brain behind the project is GDS Architects, an international firm with offices in US, South Korea and Taiwan. The building will use a combination of state-of-the-art lighting, cameras and LEDs to create an illusion of the tower being invisible. According to CNN, the camera will capture real-time images of the building’s surrounding. 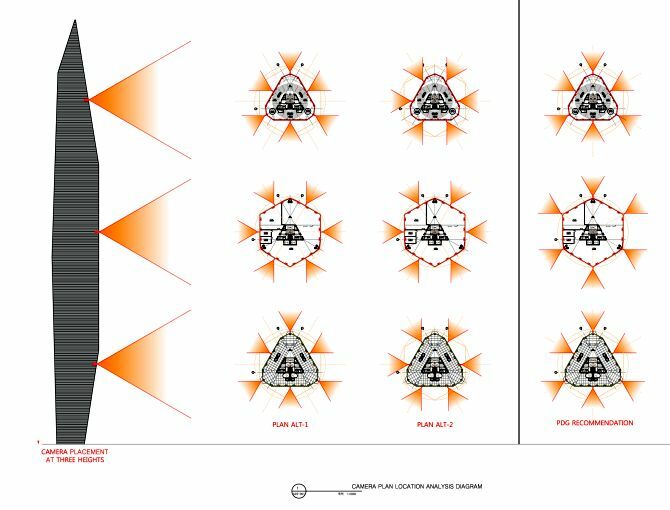 The images will be rendered on the building’s facade, through LED projectors. “Digital processing will modify the images to allow the building to blend in with its surroundings further, thereby ensuring the camouflage is even more effective,” states the CNN report. A graphic by GDS Architects explains how the building will turn invisible. The graphic represent how GDS creates the "invisibility" illusion. 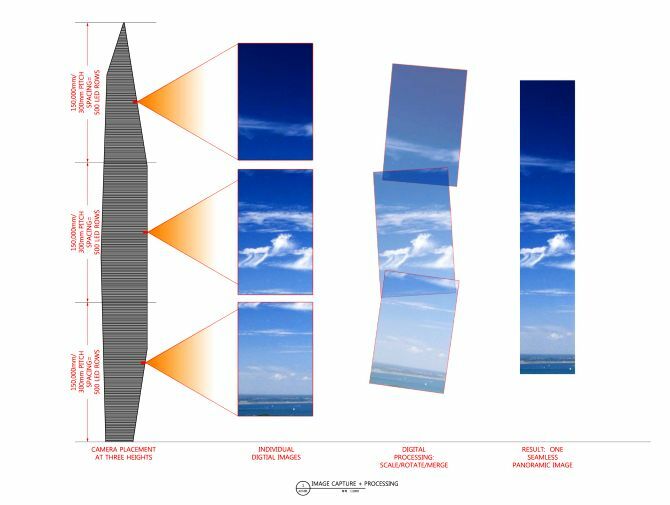 A representation of how the images will be rendered on the building to make it appear ‘invisible’. A graphic represents the placement of cameras that will click the images to camouflage the building. The building will have certain vantage points from where it will appear ‘invisible’, as shown in the graph. 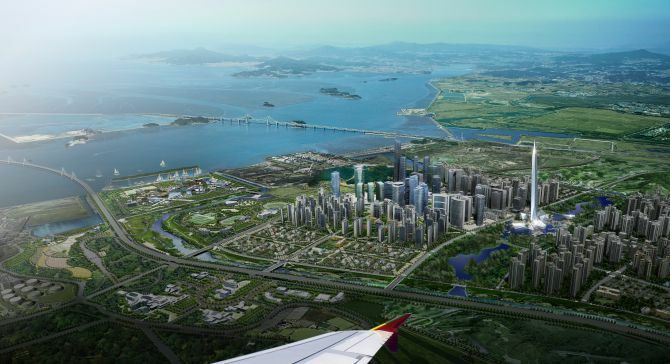 Tower Infinity, designed by architect Charles Wee, will come up near Incheon International Airport just outside of Seoul. 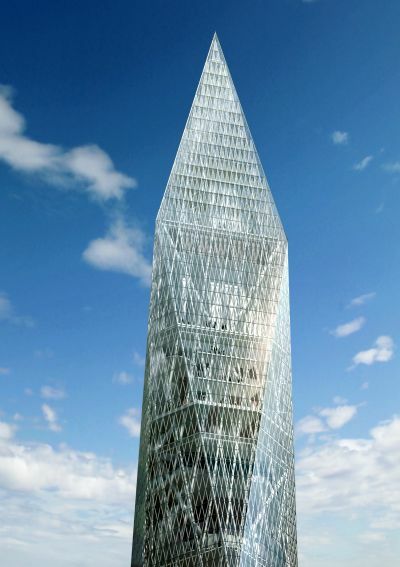 The building will be 450 meter tall, approximately the height of Petronas Towers in Kuala Lumpur, Malaysia. Construction on the tower is expected to break ground next year. And it will take about four years to complete it. 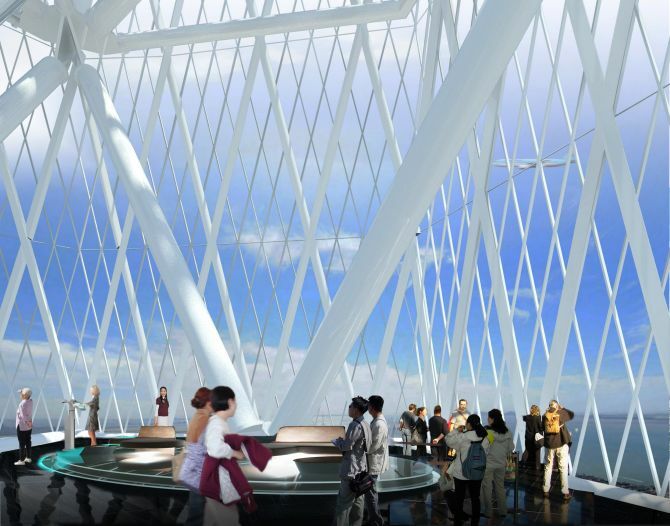 Tower Infinity will also boast the third highest observation deck in the world. 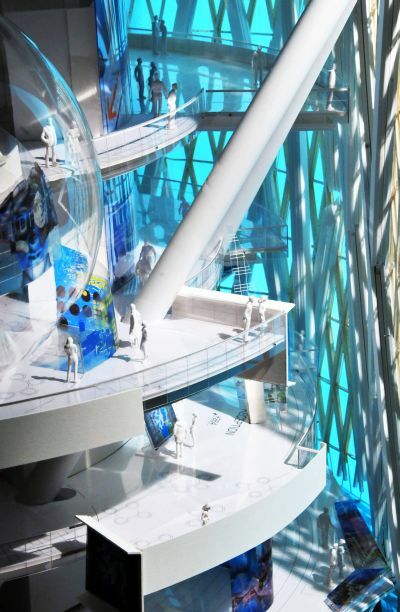 Other than the observation deck, the building will feature skywalks, sky gardens, shops, restaurants, movie theatres, and a water park, according to media reports. 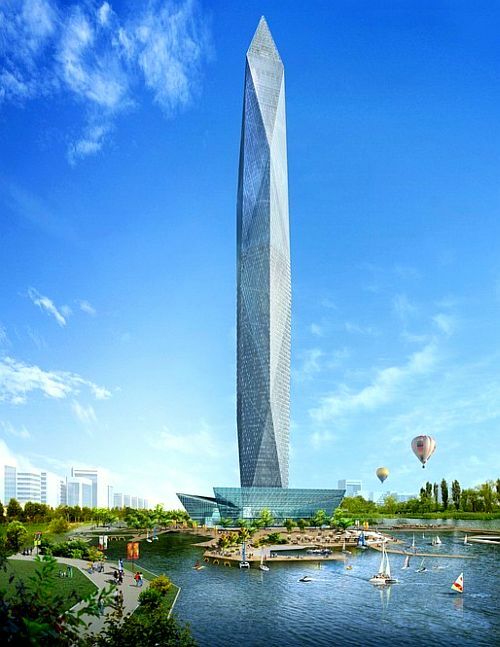 Too often in modern times, the phrase “landmark tower” is indicative of a nation’s desire/ego to showcase a level of economic prosperity and technological achievement for others to envy. 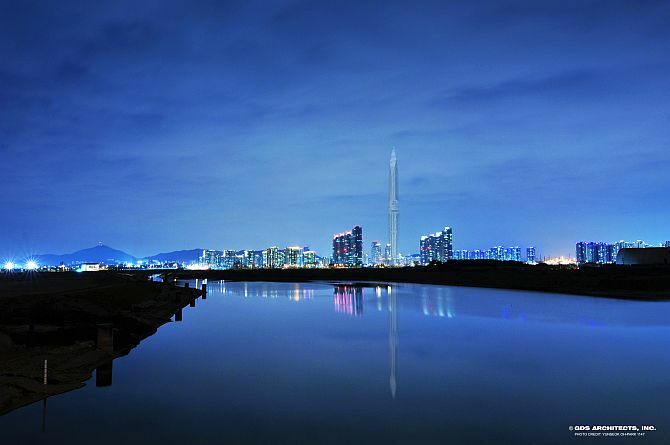 "Instead of symbolising prominence as another of the world’s tallest and best towers, our solution aims to provide the World's first invisible tower, showcasing innovative Korean technology while encouraging a more global narrative in the process,” said GDS Design Principal Charles Wee. 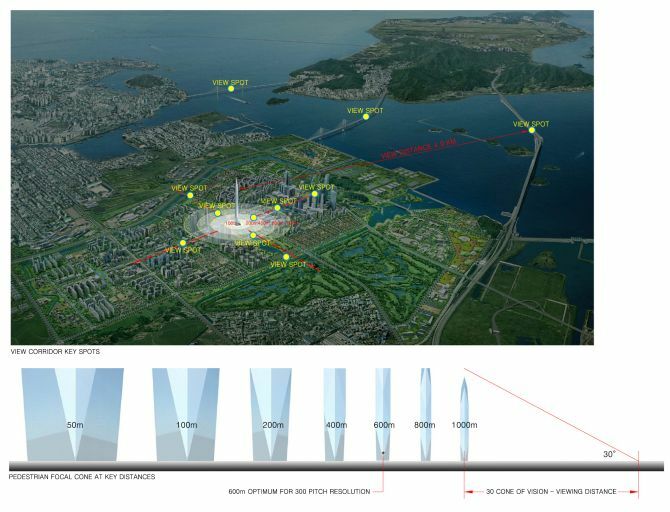 GDS participated in National Design Competition sponsored by Korea Land Housing (LH) to provide Design and Engineering services for the 450-meter tall Observation Tower poised to become Korea's National Landmark back in April 2011. GDS in collaboration with Samoo Architects, A&U and structural Engineer King-Le Chang were awarded first prize. The firms also won the original International Idea Competition out of 146 entries from 46 countries. Charles Wee, the Design Principal at GDS, wanted something that reflects Korea its people and the country’s future. “In this sense the competition evolved as an opportunity to provide a social commentary and challenge the status quo of all which is finite and hence the desire to be Invisible, Wee said. 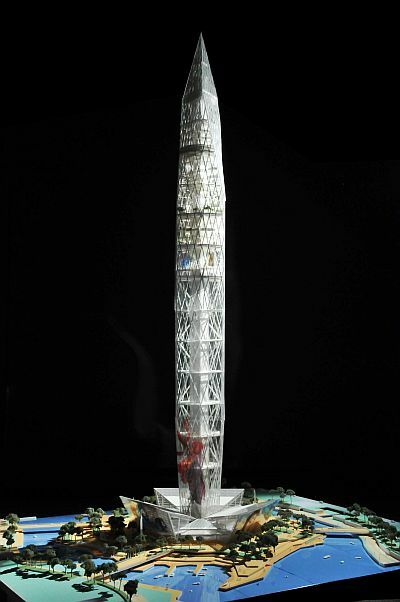 While participating in the competition, GDS was clear that it does not want fall victim with trying to compete with the great iconographic landmarks of the world or develop another version of the “tallest observation tower”. “Our heart, minds and motivation were set to represent the ‘Power of Absence’ and the ‘Strength of Nothingness’ often referred to by Louis Kahn,” Wee said. The design team then stared working on the design that would render the building as ‘invisible’. 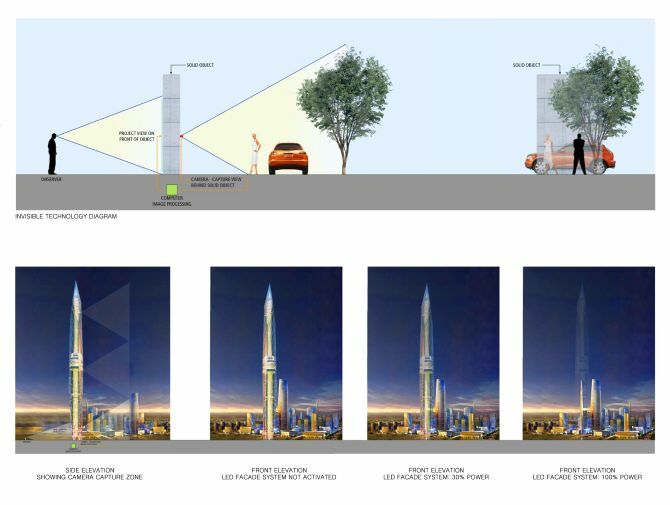 It analysed countless iterations of Pitch resolutions in connection with appropriate viewing distances at pedestrian levels to determine a cost effective solution that allows the tower to visually disappear when daylight conditions permit. This same technology also allows the Tower to become a 450-meter tall billboard screen and urban focal point for all arriving at Incheon. Founded in 1997, GDS Architects is a design and planning firm with offices in Pasadena, Seoul and Taipei. 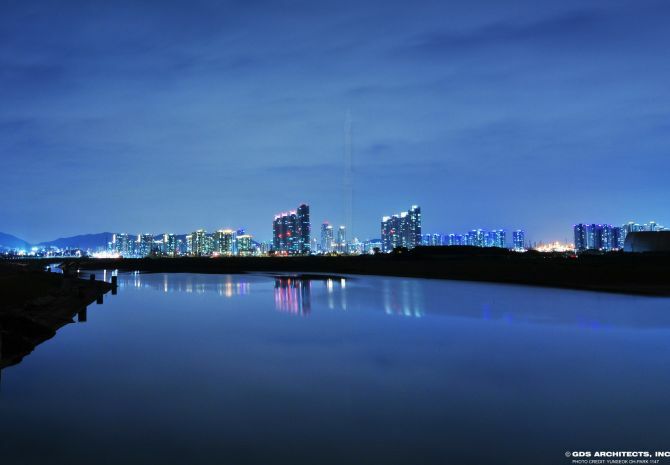 The firm designs large scale, mixed-use commercial projects and high-rise residential, as well as master planned cities.